Our Pick n Mix accountancy package is tailored to meet the needs of businesses who require a more traditional accountancy service. So if it’s just monthly payroll services you’re after, preparation of your year-end accounts and tax returns or say a cash flow forecast, then we can definitely help! Click here to check out our extensive range of services. As with our monthly online packages, the pick n mix service is great value for money, with fixed fee pricing and payment plans available to assist with cash flow. So if the Pick n Mix service sounds right for your business, we’d love to hear from you. 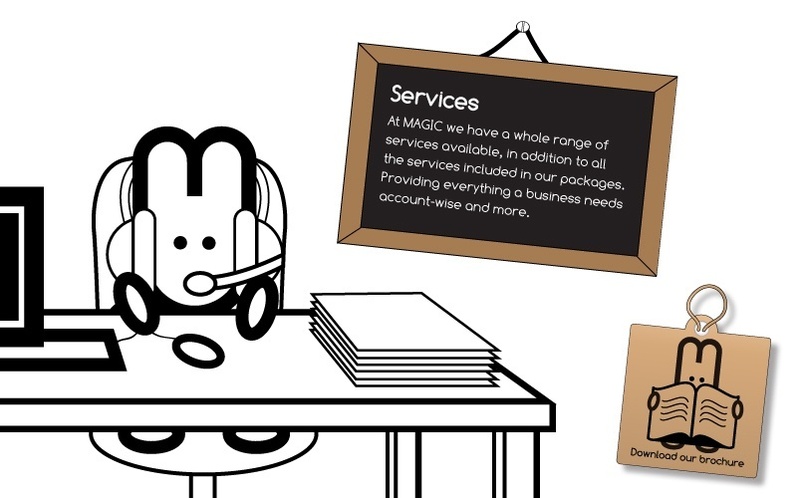 Call us today on 0800 046 7335 to discuss your specific accounting requirements with one of our friendly advisors. Click on the chalkboard below to view a full range of our services.